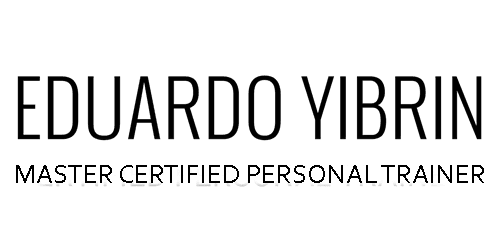 Eduardo Yibrin is a bilingual (English/Spanish) ISSA Master Personal Trainer/Fitness Nutrition professional with international experience, currently working in the greater New Orleans area. He has 20 years of experience in personal training and fitness, including training clients with osteoporosis, knee replacements, and other rehab conditions. "I was really apprehensive about trying a trainer out. Eduardo spent our fist session as an "evaluation session," enabling him to tailor my workouts to my needs. Primarily, I want to burn fat/lose weight, but toning is also a goal. Eduardo constantly changes up the routine so that my muscles are constantly being targeted but I don't lose interest - which happened with my own personal workouts. I don't normally write reviews, but I am so pleased with my results after only two months that I felt it necessary to write one today. I'm not at my target weight yet, gut I feel more toned, have better posture, more stamina, and overall more self confidence. We meet at Temple Gym - also a great gym - twice a week and I very much look forward to my workouts now! Five stars, Eduardo! Muchas gracias!"